The detailed recruitment process for security guards at ShreeVSF Group work? Applications for current work avaialable positions are invited are reviewed thoroughly, suitable applicants are then invited to take part in a first round of interviews. A review process then takes place with Managers assessing the suitability of each of the first round candidates. A final interview round is organised with candidates from the first round who best meet the criteria for the available positions. Prior to the commencement of the final interview round, reference checks are performed, security licenses are verified, and when management is satisfied with the candidate's supplied documentation, the final interviews take place where positions may be awarded. Does ShreeVSF provides security services for special events e.g. birthday parties? Yes we can. Just be prepared as our staff will ask a few questions regarding the booking. What will the average age of the attendees be? Will there be alcohol available? Will there be a guest list available to our Security Staff? Date, location, start-time and finish-time? Which esteemed clients you have catered to? ShreeVSF closely maintains a certain level of discretion in regards to revealing who our clients are. However we have recently updated our website and you can see some of our client’s list displayed Clientele page. Does ShreeVSF have a clean record? YES - One of the main advantages I see ShreeVSF having over our competitors is our reputation, ShreeVSF has a completely clean record, no negative media reports and no appearances in the courts. Our clean record is in part due to our commitment of doing things the right way each and every time, both by our staff and our clients. Will I receive any discounts with ShreeVSF? YES - ShreeVSF offer various packages and can also tailor a combination of services in order to achieve your desired result and budget. Does Security Guards are taught about the job sites where they work? In addition to what is taught in the state-required certification process, at ShreeVSF, we go a step further, and familiarize our guards with the unique aspects of each site, to provide the best service to our customers. ShreeVSF has grown widely in the last decade and as such we provide security services across Mumbai. Does ShreeVSF open to tie-ups – will you consider subcontracting some services that you provide to your clients, to me? 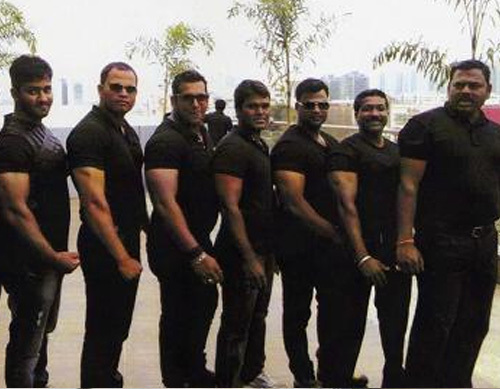 Shree Vinayak Security Force has been providing professional and discreet bodyguards to an array of clients, both in Mumbai & all places across India. We help you protect your company's current and future profitability by safeguarding your financial assets and providing your executives and staff with a safe and secure work environment. Shree Vinayak Security Force has gained operational experience from local and foreign special forces and agencies and these skills and knowledge are applied in the the executive protection environment. It is no coincidence that we have an extraordinary high client retention rate, the reason is simply our obsession with service levels and delivery of expertise, managed from the top by the most experienced and respected senior management team in both the close protection field and the private security sector. Shree Vinayak Security Force is present for you, anytime, anywhere, anyday! !